In some countries if you lose an election you go to jail. We’ve never done that in this country and we shouldn’t start now. As everyone knows, our laws are so complex and pervasive that a U. S. Attorney could indict a ham sandwich. Or you. Or me. Or a former President. A rogue attorney’s general’s office in Austin has attempted to criminalize the practice of politics in the State of Texas, and has had some success. We don’t want that in America. That’s why Gerald Ford pardoned Nixon, and was right to do so. And it may have played a part in FBI Director Comey’s decision not to recommend prosecution of Hillary Clinton. All things considered, it was the right thing to do, especially since he had the courage to condemn her behavior in very strong terms. He made the case against her, and left it to the voters to decide. The Clintons are career criminals, but I don’t want the precedent set of the FBI deciding elections. One thing Comey accomplished is to make it more difficult for Clinton to respond to Trump’s declaration that he is the law and order candidate. Some lefties will call that a dog whistle for repressing the black community. But to most people it’s just common sense. It’s the kind of issue regular people, including low information voters, talk about at the dinner table. I don’t think, especially given her email issues, Clinton has an adequate response. So score one, maybe a big one, for Trump. And if we start getting race riots, he can win the election on this issue. He won the nomination, in the end, when the violent protests against him helped give him his big win in Indiana. It could happen again in the general. George Soros, take note. Funding Black Lives Matter may not be such a good idea after all. Kurt Schlicter writes at the Townhall website, and he’s not a happy camper today, and he’s got a point. You can only push people so far, and you’re going to get push back. Killing police officers is a revolutionary act, in any country, at any time, and it must be responded to in the most forceful way. We can count on Obama not to do so, and this is a problem for Clinton. She can’t stray too far from him, without seeming disloyal. Because of all this, and the normal post Convention bounce, I would be surprised if Trump doesn’t catch Clinton in the polls. May the Saints preserve us. I don’t like to think about Trump because I don’t know what to think. On the one hand, he’s a nut. On the other hand he’s spot on concerning many of the big issues. On trade, NATO and immigration he’s an American nationalist, which is smart. But he’s a nut. It’s pretty obvious where Ted Cruz’s head is right now. 2020 baby. 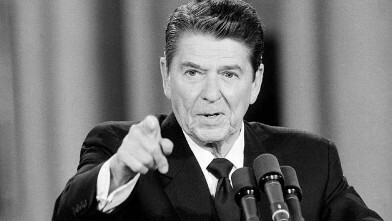 He likens himself to Reagan, and this year is his 1976. His speech to the Convention will be a call to arms for constitutional conservatives. It’s the one part of the Convention I’ll be sure to watch. If Trump wins (God, I hate typing those words) he should appoint Cruz to Scalia’s seat, and Cruz should accept. It may be that the Supreme Court is where the Good Lord intends Cruz to serve his God and his country. You never know. I assume Rubio is thinking the same thing. That will be an fascinating dynamic to watch, Cruz and Rubio both shadow boxing for 2020. Hey, it’s more interesting than anything on TV. The sad thing is, there are a lot of crazy people in this country, and the only thing between them and us is the police, and our own firearms. And I’d prefer not to have to deal with these crazy bastards myself. I think that’s the way most people feel, and this issue, as much or more so than immigration, can turn an election. And I think Paul Manafort is smart enough to understand that, and so is Donald Trump. It’s not rocket science. This election seems like it’s been going on forever. And I feel black swans coming.